It’s a staple of downtown Bakersfield—a place that embodies elegance, romance and big screen entertainment. It was during the roaring 1920’s, when William Fox, the iron fisted owner of Fox Films, starting building the elaborate theaters all over the country—As a way to bring motion pictures to the public, long before televisions were in every household. On Christmas day 1930 Bakersfield’s Fox Theater officially opened at the corner of H and 20th streets. In the early years of the Fox Theater, legendary opera baritone and Bakersfield native Lawrence Tibbett gracing the stage—along with classical artists from all over the world. A night out in Bakersfield, would never be the same. Today, Matthew Spindler is in charge of the Fox Theater. tasked with looking over the 1500 seat venue, learning along the way just how much this space meant to so many generations. “You have people towards the end of their lives come in and say “I saw this first movie back in the 40’s or I got my first kiss here” and you start to realize just the part it places to downtown and the area,” said Spindler. 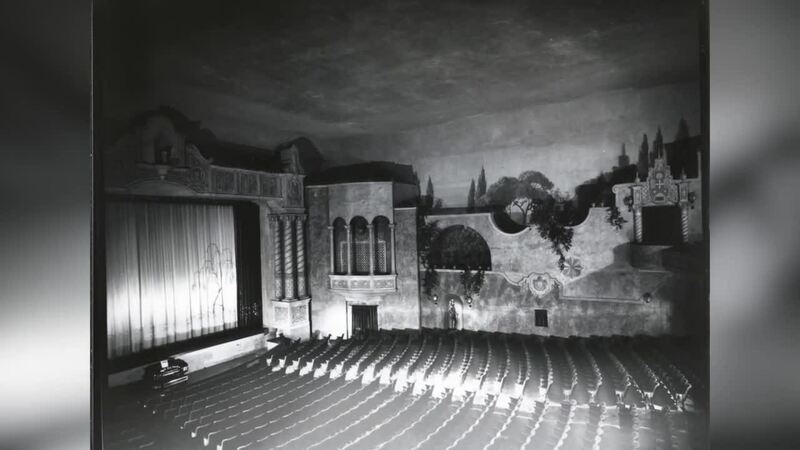 At the time of it’s opening, The Fox was 8-times larger than other California theaters—with special attention given to the acoustics of the building. the decor included tapestries and oil paintings— one special feature, only here in Bakersfield. The Fox Theater you recognize today, slightly different than it appeared nearly 90-years ago. The theater build to embody a Spanish colonial motif, with Spanish village scenes, and high stone wall meant to impress the audience. “It’s kinda come full circle because there was a time when a venue like this, you couldn’t use it, and it went dormant for so long,” said Spindler. The Fox Theater really is a tale of two theaters from the time in the 1930’s 40’s 50’s with the nostalgia of the old theater—to the time it needed rescuing—almost shutdown forever, the community of Bakersfield coming together to save this historic place. In 1977 the big screen went dark—no longer able to compete with other forms of entertainment. It wasn’t until 1994 when the Downtown Business Association, led by local advocate Cathy Butler came up with the money to re-open the fox. ”It was the community— it was a grassroots effort,” said Butler. Some in the community wanted to demolish the theater, and re-build—but after raising money for a down payment to purchase the theater—residents one by one—came down to show just how much the theater meant to them. “And this one lady, she sat down, in this dirt and we said, I’m sorry, this is dirty, she said “I had my first date with my husband and he’s no longer here, and this means a lot to me, i want to sit here.” Butler recalled. Stories too powerful to ignore, and conformation the theater needed to stay. The theaters original clock tower still in operation—projection machines and vintage spotlights, still line the upper balcony. The beautiful theater with a bright future, made right here in Kern County.